Offering Winter Park and the surrounding areas finest non-mechanized snow removal. Including roof shoveling, ice dam removal, routine snow removal, and occasional snow removal. For both commercial and residential properties. It's no secret that the Fraser Valley gets a little more snow than most places. Over the Course of a winter, it's not uncommon for this to amount to several feet of snow on your roof. This can cause leaks, structural damage and warping, hanging icicles, or in some cases total collapse of the roof. If you are new to the area and are not sure if your house requires these services, contact us and we will make an appointment to come take a look. We offer competitive rates, professional, highly trained staff, and the best customer service available. Call or email us for pricing, or for a free consultation. Ice dams are caused by water freezing as it tries to drip off the roof of your house. These cause problems because as they form, they cause a large pool of water to build up behind them. This water will eventually find its way under the shingles, and begin dripping through the wood into your house. Water in your house can begin to weaken the structure and cause mold. Also, by the time you are noticing water leaking into your structure, it has likely already been leaking for a couple days or even weeks. In addition to the problems cause by leaks, ice is heavy. As it grows, it will add weight to the weakest point of your roof, which can cause structural damage. Additionally, we offer removal of large, hanging icicles. As temperatures warm, large icicles will become more and more likely to fall from a roof, and in a worst case scenario they can remove part of the eaves with them. If there is any chance of icicles striking objects below them, contact us to have them professionally removed. So, your roof is leaking. It's the middle of the winter. How do you make it stop? Why is this happening? Unfortunately, this is just a part of living in one of the coldest towns in the United States. The constant melt-freeze cycle causes ice dams to build up, which will cause water to pool up on your roof. Luckily, we offer emergency leak repair services. For most leaks we can send a team to you to fix it the day that you call us, if not we will get someone to you as quickly as possible. We offer routine, non-mechanized shoveling of areas around your property that can't be maintained by heavy equipment. You tell us how often you want us to come(i.e. every 4", 6", 12"), what areas you want done, and you never have to worry about it again! Because we are non mechanized, you will never know we're there. We will be there before you wake up, and you will walk outside to a fully shoveled deck/walkway. Winter Park Snow Management is owned and operated by two long time Fraser Valley residents, Bill Copeland and Luke Seefeldt. Our business model is simple- we treat each and every customer like we would treat our family. We take the utmost pride in our work ethic, the quality of our work, our dependability, and our safety record. We are also fully licensed and insured. We take pride in doing business the right way: we always hire and staff locally, purchase all company equipment locally when we can, and give back to the community by donating our time and a portion of all proceeds to local charities. Beginning operations in the winter of 2016/2017, the owners and employees of WPSM look forward to serving you! 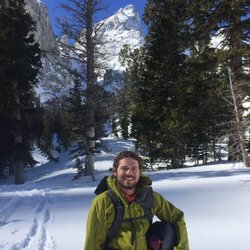 ​Luke has been doing snow removal in the Winter Park area for three years. He cares deeply about his customers and the safety of his employees. He loves skiing and the outdoor lifestyle Winter Park provides. In the summer seasons Luke Works as a wildland firefighter for the Bureau of Land Management and the National Park Service. Bill has been living in the Fraser Valley since the near record breaking bad winter of 2011/2012. After the lack of snow that year, he decided he'd stay until an "average" year, and has not looked back since. He has been doing snow removal for four years in the Winter Park area. 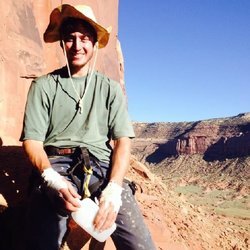 Bill is an avid splitboarder, mountaineer, rafter, and rock climber. When he isn't working, you're sure to find him hitting some bumps, or putting some turns down in the backcountry with his dog, Neve.